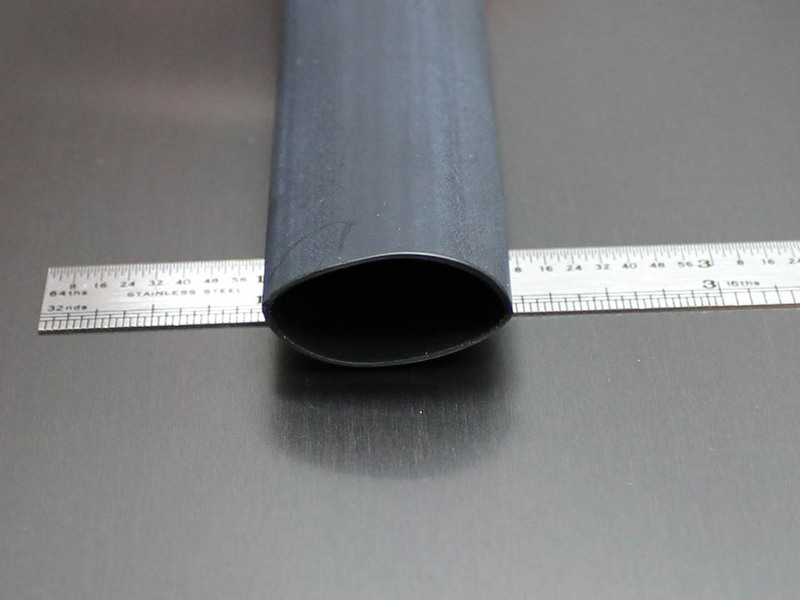 This is a high quality semi-rigid 3:1 heat shrink. The dual wall construction contains a heat activated glue. Great for strain relief (good support), insulation, protection, and special circumstances. Draws down at 248°F (120°C). Operating temps from 230°F down to -67°F. Note that up to 15% longitudinal shrinkage is possible. Exceeds SAE AMS-DTL-23053/4 (class 1), and UL 224 (600V/257°F) VW-1 / CSA specs (jacket only). Maximum length per single continuous piece is 4 foot. Priced and sold per foot (0.305 meter).